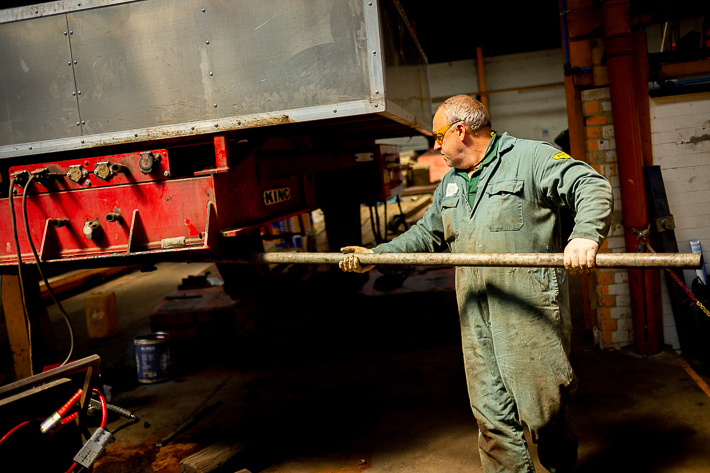 John Hudson Trailers Ltd was established in 1959 and currently employs 50 people at our Bawtry site. We are always looking out for talented people who want to establish or further their HGV caeers. Our staff come from Yorkshire, Lincolnshire & Nottinghamshire. All levels of experience considered, please get in touch with Peter Coggan, Service and VOSA ATF Manager. Malc resetting a fifth wheel during repairs to a rear steer system. Clive, Craig & Scott in the sales office.